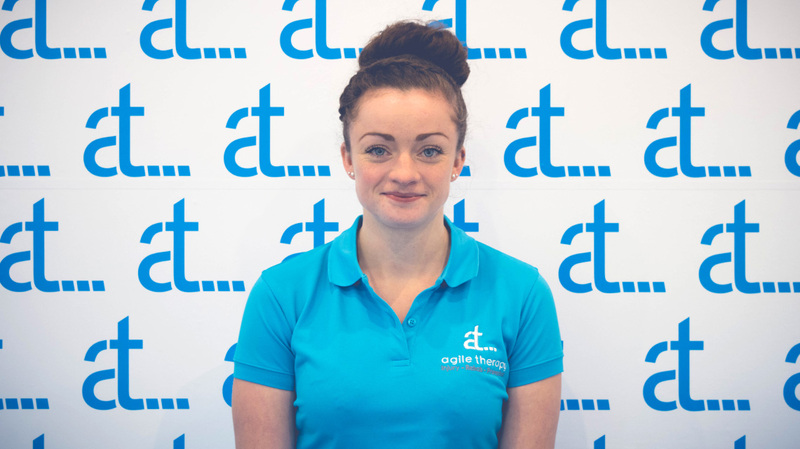 During her time at University, Kirsty supported athletes providing Sports Massage at the Brighton marathon, Bristol half marathon and Welsh Athletic Championships. Kirsty also provided massage at the University’s Sports Massage Clinic while completing her degree. A personal highlight of her time at University was being able to work with the Welsh 7’s Rugby team alongside Physiotherapists, ensuring players were taken care of and kept as fit as possible to train and play. After finishing University, Kirsty went on to do a Personal Training course and has lead group spin sessions, weights and circuits classes. Kirsty competes Nationally in Trampolining on the League circuit and has trampolined since she was 5 years old. With her experience in elite sport and her qualifications she has a well rounded knowledge of the demands individuals face, she can therefore empathise, treat and advise accordingly. Kirsty joined the Agile Team in 2016. In addition to treating in clinic, she loves attending events providing massage at events such as the Velothon and Cyclone 24 along with one of her favourites- the Cardiff Half Marathon which she has provided support for the last 3 years! If she’s not in clinic or at an event you can find her providing seated massage on-site for businesses through Agile in Work. Not one to shy away from a challenge Kirsty currently has 3 courses on the go; Level 2 Trampoline Coach, Leadership and Management Diploma and APPI Pilates Matwork Series.